Did you know that most calcium supplements on the market are basically limestone? Yes, that's chalk. Conceal it within a capsule, a slickly glazed tablet, or in the form of a silky smooth liquid, and it is magically transformed into a "calcium supplement": easy to swallow, “good for the bones" and a very profitable commodity for both the dietary supplement and mining industries. After all, a sizable portion of the Earth's crust is composed of the stuff. It saddens me to see older women diagnosed with “osteopenia” or “osteoporosis” listening to their doctors and taking supplemental calcium and even problematic drugs called bisphosphonates. 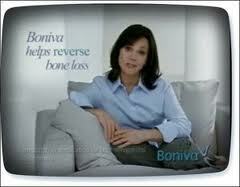 These are irrational, dogmatic, harmful approaches to the problem of degrading bone as we age. What if everything your doctor told you about osteoporosis and osteopenia was wrong? The present-day definitions of Osteoporosis and Osteopenia were arbitrarily conceived by the WHO in the early 90's and then projected upon millions of women's bodies seemingly in order to convince them they had a drug-treatable, though symptomless, disease.